April 4, 2019 Wheels Through Time will be opening their doors for the season. There’s always something new to see each season and if you are a first timer, plan to stay a while! Located in Maggie Valley, Wheels Through Time is close to several beautiful riding routes such as Tail of the Dragon, The Rattler, and the now open Blue Ridge Parkway. Enter the Raffle to Win a Bike! 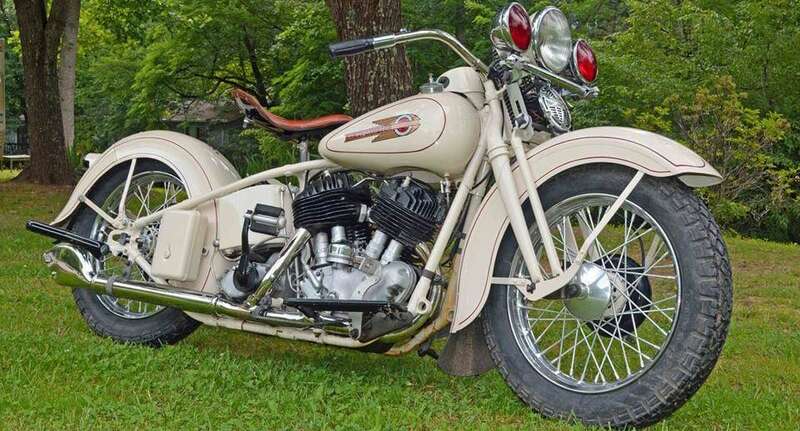 Try your luck for a chance to wine a 1936 Harley-Davidson EL Knucklehead Bobber rebuilt in the WTT Restoration shop by museum founder and curator Dale Walksler and his team. The bike features a first year 61 c.i. OHV engine based around a genuine pair of new old stock replacement knucklehead engine cases mated to a 4-speed transmission in Harley-Davidson’s classic black and vermilion red with gold striping. This marks the second year in a row that Wheels Through Time will be raffling off the Holy-Grail of all American motorcycles. Many of the motorcycle industry’s top vendors collaborated with their parts, service, and expertise. From creekside lodging to mountain views and peaceful getaways, there’s accommodations for everyone in Maggie Valley. See more lodging options here.